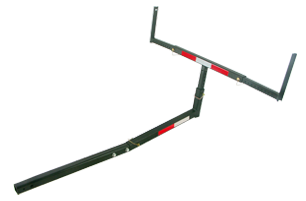 Introducing the B-Dawg® Stinger Truck Bed Extender, the utlimate solution for hauling oversized items in your truck bed. Adjustable arms allow you to carry and secure virtually any load. Few pieces for easy assembly and long durability. Flag is included. 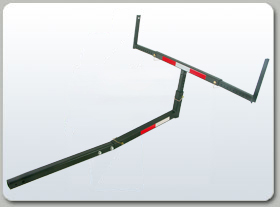 The B-Dawg Stinger is a truck bed extender that is adjustable from 17" to 26" above the hitch, with an adjustable width ranging from 28" to 49".